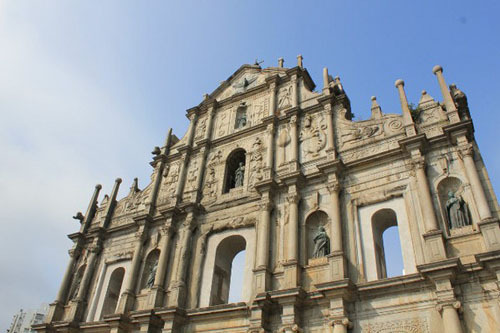 Undoubtedly Macau’s blockbuster tourist attraction, St Paul’s is the ruins of a 16th century Jesuit church, which many believe to have been the most important church in Asia during Christianity’s early forays into the region. The church was almost wholly destroyed by fire in 1835, while being used as a barracks, and all that remains is the remarkably impressive facade. Set in stone, the four storey facade is held aloft by slender columns and adorned with intricate carvings of biblical scenes, saints and more Asian inspired images. 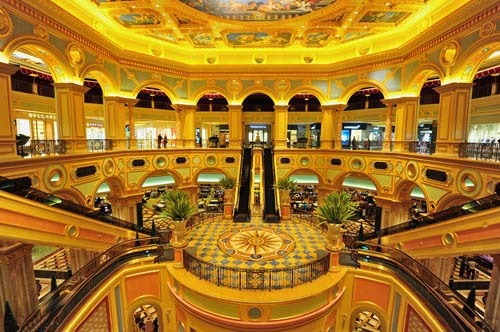 Macau (ào mén 澳门), located on the southeast coast of China, is a special administrative region of the country. 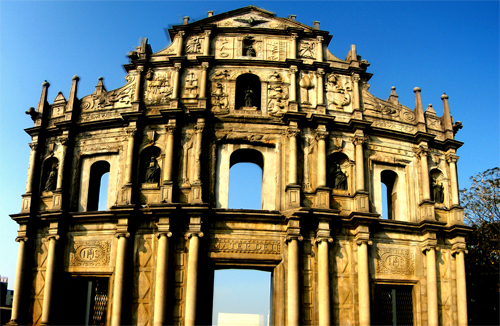 Being Asia's well-known gambling Mecca, Macau is a place to find the traditional Chinese culture while enjoying the exotic Portuguese buildings. 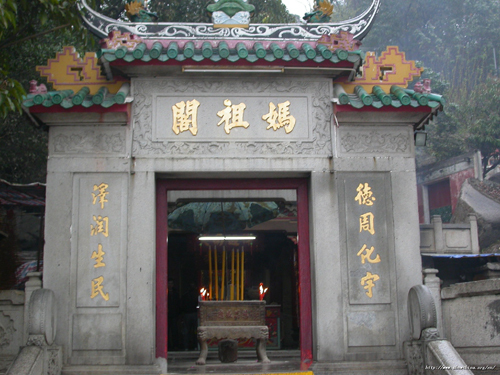 The name of the city is derived from the word Magao (A-Ma Temple), which was the shrine dedicated to Mazu, a sacred sea goddess respected by the local people. It was said that in the middle of sixteenth century when the Portuguese first set foot there, one of the officers asked a fisherman the name of the land. The man misunderstanding the officer’s meaning, answered “Magao” - the name of A-Ma Temple in front them. The word became the Portuguese name for the land and for nearly 400 years, the Portuguese ruled here prior to Macau's official return to the People's Republic of China on December 20, 1999 as a special administrative region.